Indeed, Musk’s batteries are aesthetically pleasing. They feature attractive outer shells covering a relatively compact design. But, even more importantly, these batteries have revolutionized the way companies and people can use energy. Below I’ve highlighted several initiatives surrounding environmentally responsible, “green” batteries. Sierra Nevada Brewing Company, one of America’s most well-known beer makers, now makes its iconic pale ale with the help of the advanced energy storage technology of Tesla’s Powerpack batteries. The stackable nature of the refrigerator-shaped Powerpacks made it easy for the Sierra Nevada to install 500 kilowatt/1 megawatt-hour batteries in its brewery in Chico, California. The brewery is capable of brewing as many as 1.4 million gallons of beer at a time, which creates exceptional energy demands on the local utility company in Chico. Those energy demands translate into outsized energy bills for Sierra Nevada. Now, with its new green batteries, the Sierra Nevada can discharge stored energy from the Powerpack bank during times of peak consumption, relieving stress on the local electric grid and reducing the brewery’s monthly utility bill. At least one other major player in the beer industry, Maui Brewing Company, has also installed Tesla’s Powerpack batteries at its brewing facilities. And as of late 2016, Powerpack batteries deployed in conjunction with solar panels powered most of the island of Ta’u in American Samoa. Tesla is also working to improve the quality of its batteries. Since 2015, the company has developed a second-generation Powerwall battery for residential use. Users can now run a two-bedroom, or even three-bedroom home, for an entire 24 hours. The battery is especially beneficial for people interested in storing surplus energy from solar panels and for households who want to save money during times of peak energy supply cost. In addition to Tesla’s batteries, other companies are developing alternative-design green batteries for homeowners to use in conjunction with solar panels. 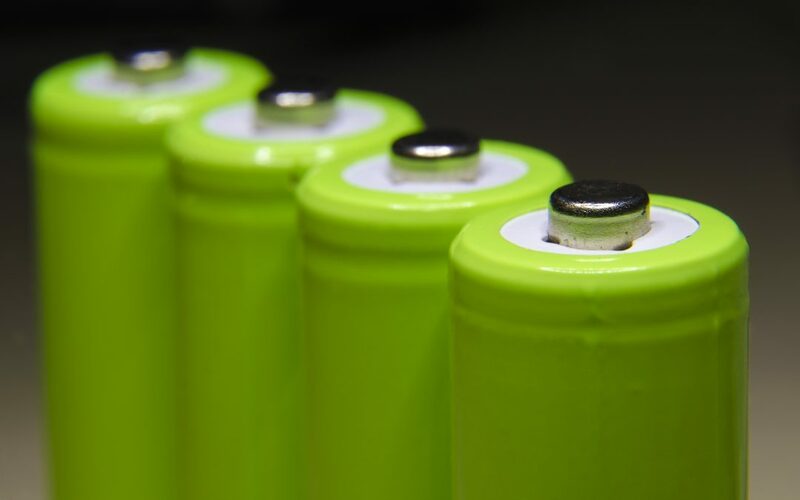 UK-based Circuitree has patented a design for non-toxic saltwater batteries that will outperform and outlast green batteries that are already available on the market. It’s important to note that the development of this technology is still in its infancy; a crowdsourcing campaign recently launched to raise funds to get the Circuitree project off the ground. Although Circuitree’s advanced technology may not be commercially available for a while, advances are being made in sustainable battery technology. As more efforts to refine and implement this technology get underway, our energy economy will inch its way toward being 100 percent sustainable.